Mars is the fourth planet from the sun. It is also called the Red Planet. Mars turns red because of huge iron dust deposits on its surface. In the old days Egyptians called Mars as “Har Deucher” (The Red One). The Babylonians called Mars as “Nergal” (The Star of Death). The Greeks named Mars after Ares, the god of war. The Romans gave Mars its present name. The strange-looking scars on Mars’ surface was first seen by Christian Huygens in 1659. He actually believed there were creatures living on the planet. The odd-looking figures were later named Syrtis Major. But Giovanni Schiaparelli had a stranger theory: He believed these crooked lines were water canals built by aliens! No one never really discovered planet Mars. 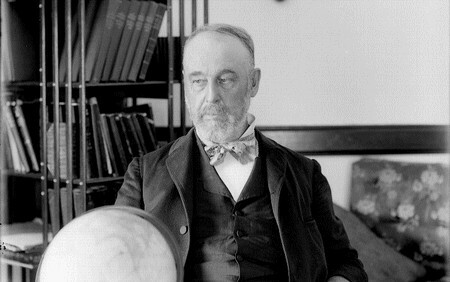 But its moons were first seen in 1877 by Asaph Hall. He named the two moons of Mars Phobos and Deimos. Phobos means fear, Deimos means panic. Hall named the moons after the horses that drew the chariot of Mars in Roman mythology. Mars goes around its axis once every 24 hours and 37 minutes. It turns around its orbit within pretty much the same time as planet Earth does. Mars’s air is very thin and is almost entirely made up of carbon dioxide. There are times a cloud of dust covers much of the planet. It is noteworthy that there are many striking similarities between Mars and Earth. Like Earth, Mars is also home to wide canyons, snow-capped mountains, and sand banks. The Red Planet was first seen up close from Mariner 4 in 1965. Mars was widely believed to have seas and oceans. Scientists thought this was possible because of light and dark shades on the planet’s polar latitudes. Their observations were later proven wrong. The dark stripes seen from Mariner 4 turned out to be an optical illusion. The other tell-tale sign that there might be life on Mars is the changing colors on its surface. Observers take this for seasonal changes that affect vegetation on the planet: Plants die out in warm months and grow back in cold months. But recent radar feeds from Mars Express and Mars Reconnaissance show that Mars harbors water. The photographs reveal bodies of water and ice at the planet’s poles. In 2008 the Phoenix Mars Lander took water samples from Martian soil. 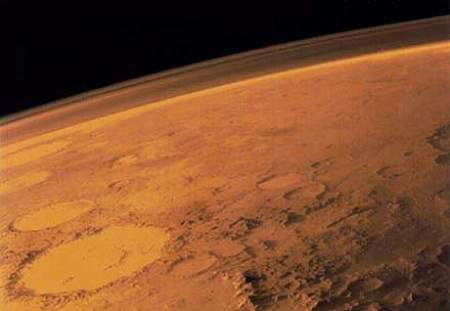 According to biologists, Mars sanitizes its own atmosphere. This happens because of the strong solar ultraviolet radiation on Mars’s surface. This leaves the planet’s soil too dry to support any life form. But the issue of an extinct Martian civilization remains a hotly debated subject. Mars is around 228 million kilometers away from the sun. If it drifted anything closer than that, the planet could have burnt out a long time ago.